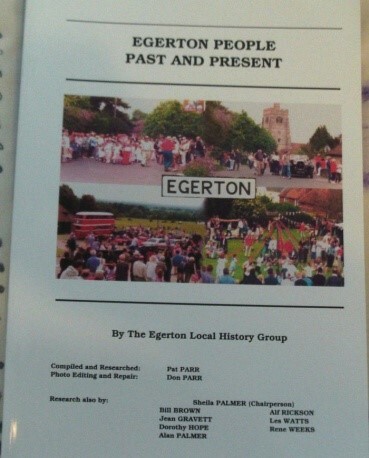 The Egerton Local History Group – 3 Published Books on Egerton and its People. 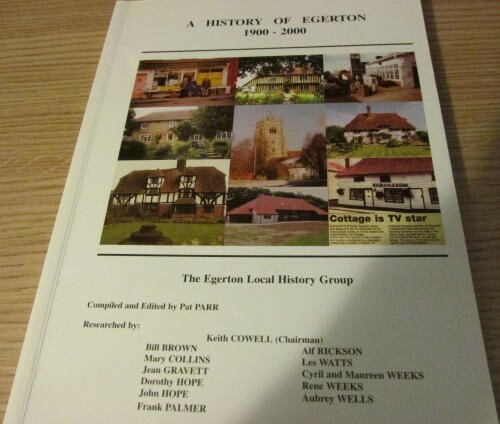 The Egerton Local History Group was formed in 1999 with the aim of producing a book of a history of the village, as seen from the memories of those on the committee. The committee consisted of 12 members of the Over 60s Club who met once a month to hand over their stories and research undertaken since the previous month. These items eventually led to the production of an impressive book, published by Robert Swift, printed by Mickle Print of Canterbury and launched in the Millennium Hall on 3rd November 2001. The book contains 10 Chapters which include details of every single property in the village. So many photographs lent to the committee weren’t used in the first book so it was decided to publish another book simply containing all the unseen ones, printed by Mickle Print of Canterbury and launched in October 2002. The book contains 13 Chapters of old Egerton photos sorted into categories, e.g A for Agriculture, H for Hops down to W for Weddings. 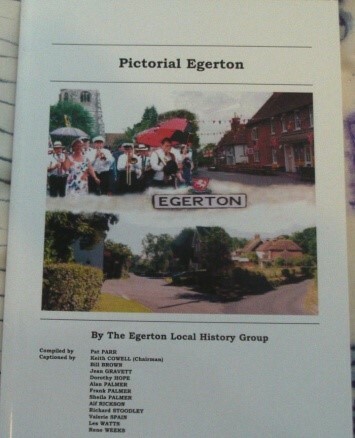 The third book contains 150 individual family stories from families born and raised in Egerton or have strong past and present connections with this wonderful village. Alphabetically ordered by Surname. Printed by Mickle Print of Canterbury and launched in November 2004.